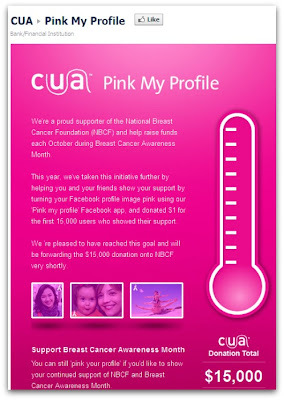 SophosLabs: Have you noticed the profile pics of some of your Facebook friends have acquired a pink tinge? Rumours have hit the social networking site that the Facebook app that turns your profile picture pink carries “keylogger malware” that can spy on your keypresses, and steal your passwords – not just from Facebook, but from online banks you may log into as well. 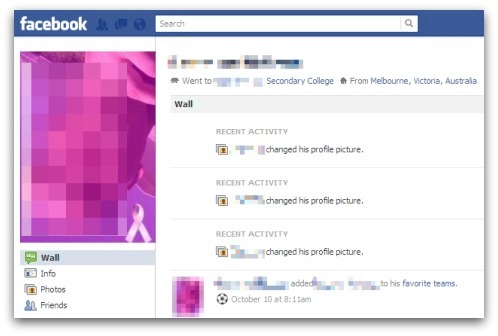 ABC News 24 just released a statement about a virus on facebook app that adds a pink tinge to your profile picture to `raise money for cancer`. Keep a look out for any of your friends who may have fallen victim to this app. Apparently, they should be easily identifiable with a pink tinge to their profile picture. However, the warning is balderdash. ABC News has released no such warning, the app is not malicious and we have seen no evidence that it contains a keylogger. The truth is that your Facebook friends are doing something positive – helping raise money and awareness for the fight against breast cancer. 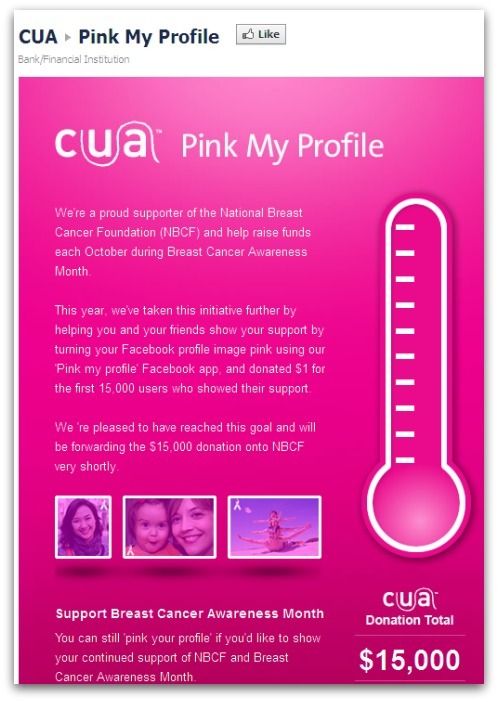 Australian bank CUA raises funds every October for Breast Cancer Awareness Month, and this year decided to share an app that would change users’ profile pictures pink to show that they were supporting the campaign. If you want to learn about the real threats on Facebook you should join the Omid’s Blog facebook page, where I’ll keep you up-to-date on the latest rogue applications, scams and malware attacks threatening social network users.